The machine got put away and not used for a few years, I can’t quite remember why it was brought back out but I know we had builders in and I’m not thinking one of them drank decaf. The machine then stayed out and we invested in some pods we liked. We did go through a phase where we had to use 2 decaf pods for every with caffeine pod just to get through them. We now love the machine and couldn’t live without it, ok that might be an exaggeration as it is a luxury item for sure. 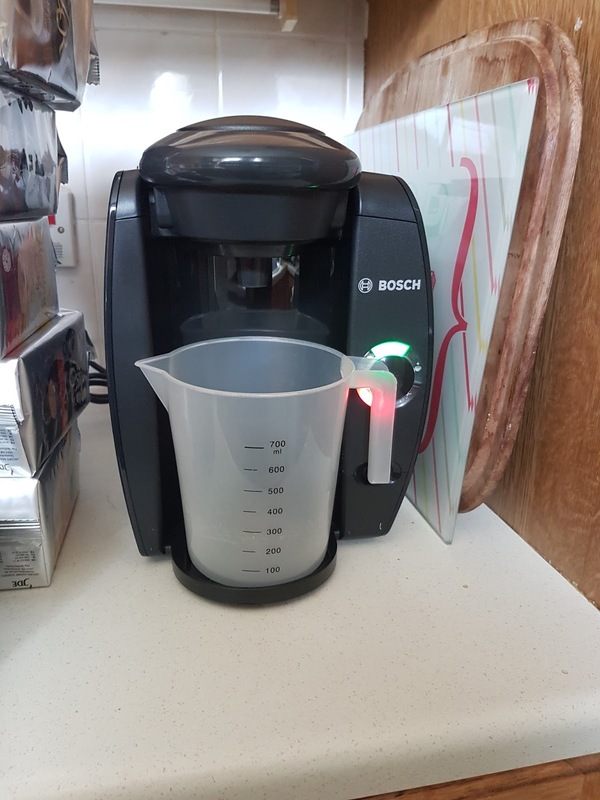 Recently we have noticed a slight leak from under the machine and decided to look at other coffee machines. I have to confess we do have a second machine but it only has a very small water tank and our main one had a 2-litre tank. 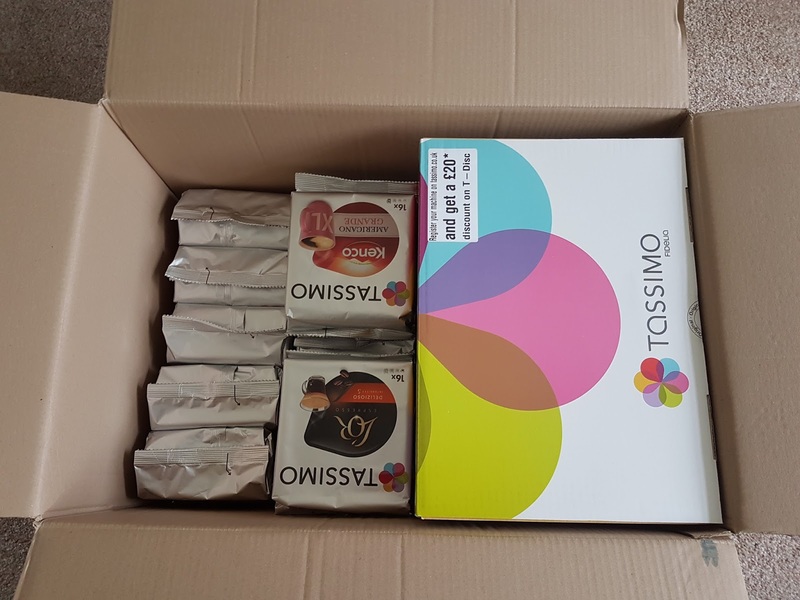 In my research, I had thought about swapping to a Nespresso Machine (free George Clooney in every box )(Not really I made that up) but we had around 200 pods so it made sense to buy another Tassimo. 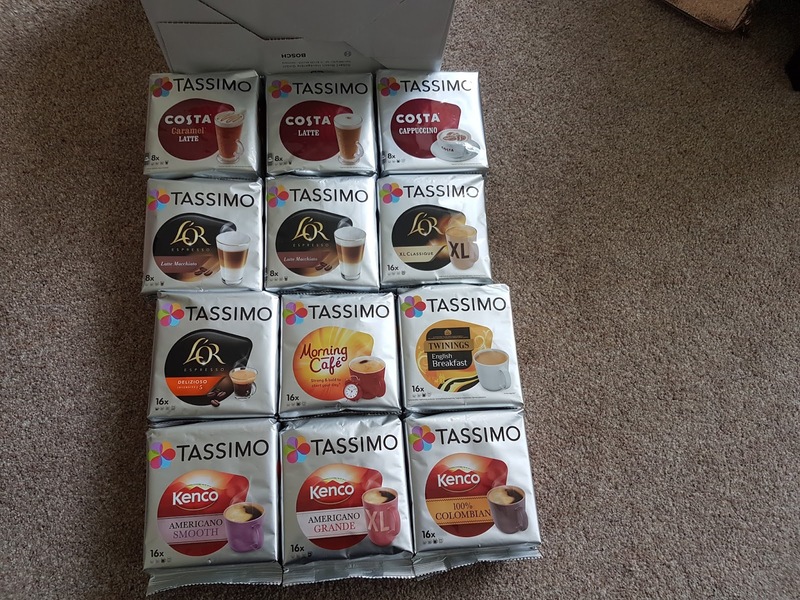 At the time I was lucky enough to find an offer on Tassimo’s website for a machine and 2 packs of pods for £53. While you couldn’t pick which pods you got sent most of them are ones we would drink. The offer isn’t showing anymore but it’s worth keeping an eye out as the machine on its own is worth £99 and the packs of pods are approx £4 depending on which ones you buy. In the box is also an offer to get 2 X £10 vouchers to spend on the Tassimo site. You have to use them in two separate transactions but we have the machine and we’ll always need coffee. When I went to spend my first voucher there was an offer to get a free pack of Twinnings Tea if you spent over £25 and then free delivery over £35. 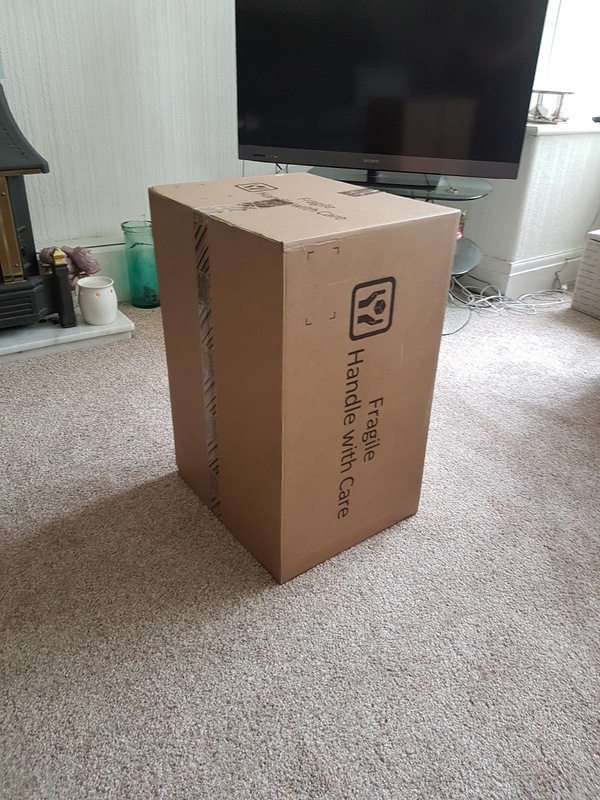 I hate paying for postage so I decided to spend more. This is my logic and I’m sticking to it. I know it’s nice to have something new and different but I also like the old and familiar and that’s exactly what we’ve got. A near exact version of what we had before. 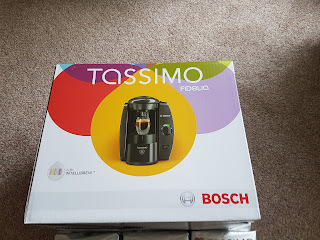 Also by getting this new machine, we have been trying new drinks that previously we wouldn’t have as we always but the same Costa Americano pods from Costco and I’m not sure if this works out cheaper or not but it’s handy to be able to buy in bulk. 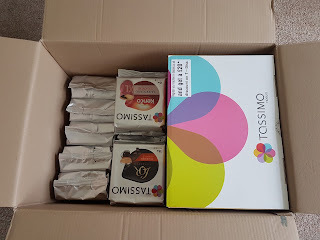 My favourite pods are both Teas, the Twinnings English Breakfast and the Twinnings Fruit Tea in a berry flavour. Out of the new coffee’s I likes the L’Or XL coffee pods. 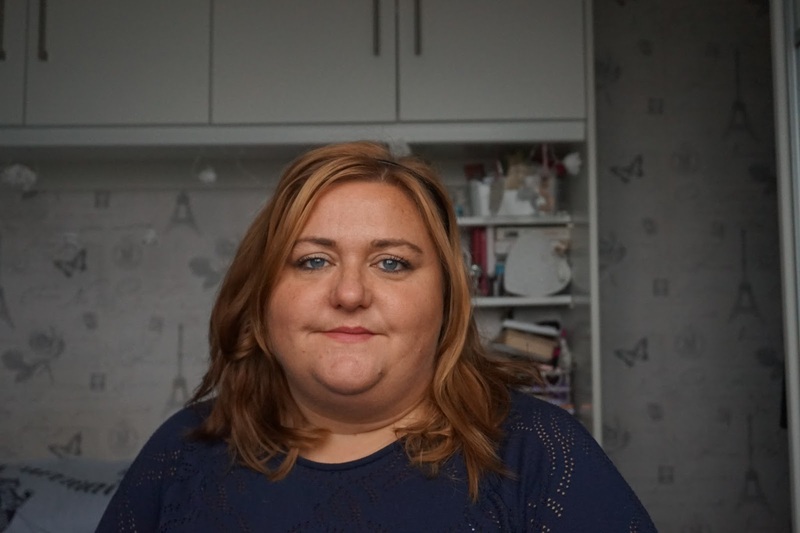 Do you have a coffee machine? What kind do you have or what drink do you order when you go to a coffee shop? We have the dolce gusto machine. I really enjoy the cappuchinos but it can work out quite expensive if you have people round for coffee. I know its bad but I save the pods for us and give visitors instant! My Bad!!! 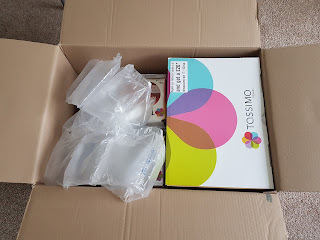 I have a Tassimo machine too. Yours looks newer and better than mine though! 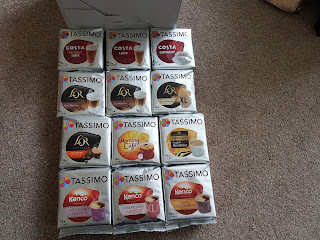 My partner likes getting the various coffees! This is pretty cool. I would love a machine that makes hot chocolates! My daughter would like that too! This looks so good! I've been thinking about buying one.